Long Reef Headland – 1994 – Declared a Threatened Ecological Community. A common misconception held by many people is that a natural landscape requires a good covering of trees, but for large areas of Australia, the original cover was grassland. Themeda grassland commonly known as Kangaroo grass, Long Reef Golf Course. 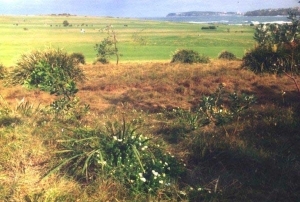 Long Reef headland contains Warringah’s only example of native grassland vegetation occurring on clay soils. Before European settlement the Long Reef headland supported a complex ecosystem of lagoons, wetlands, coastal heath grasslands and open Banksia woodlands. Long Reef’s native grasslands are dominated by Kangaroo Grass (Themeda australis) interspersed with Lomandra species and Pimelea liniftoi (coastalform). The exposed nature of the sight means that most vegetation is dwarfed. This grassland is more than just grass – it is a native temperate grassland, an important store of biodiversity. Ecosystems where you will find a rich profusion of other plants and animals ranging from an endless variety of insects through to reptiles, amphibians and small mammals. 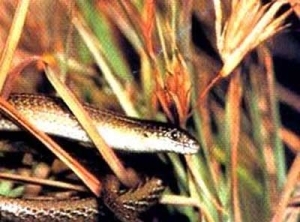 European settlers took an immediate liking to Australia’s rolling native grasslands. Unfortunately, while the Australian grass may have appeared similar to European pastures they were not. Into this alien environment came Europeans with hard-hoofed grazing animals adapted to a moist, relatively stable climate. The impact on our native grasslands was devastating. Limited farming existed on Long Reef up until 1912. Note: In the late 1980’s another threat to the Grassland was the spread of Bitou Bush down NSW coastline. 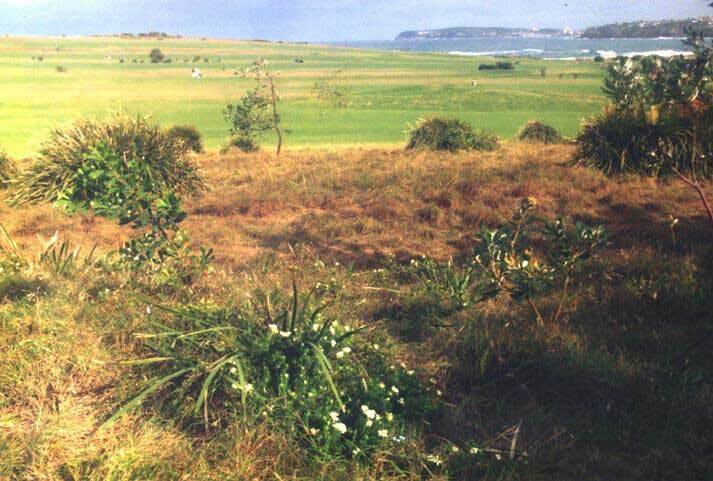 Bitou Bush almost destroyed all the Kangaroo grass growing down Long Reef’s headland point. Other areas of Kangaroo grass around Griffith Park were saved by the protection order, resulted in council not mowing these areas. Information provided by the Landscape Conservation Unit, ANCA Canberra.